predict future outcomes based on patterns from past data. Banks use sophisticated computer systems which analyse spending patterns of customers and spot anomalous transactions, producing a security alert if there is any suspicion of fraudulent use of bank cards or account details. Car manufacturers have been gradually implementing computer assisted software to improve the driving experience, such as adaptive cruise control, automated parking and the current development of fully driverless cars. Online shopping in particular has been taking advantage of AI tools in an effort to streamline processes. First line customer service often comprises a chatbot which invites a customer to submit natural language queries and attempts to direct them to the correct product or most relevant section of the website. Some of the key legal concerns regarding AI tools concern the fact that they generally handle large amounts of data, which are often personal or sensitive in nature. Data protection measures need to be put in place by AI providers to safeguard both any information inputted by users, and databases which are queried by the software. The forthcoming General Data Protection Regulation (GDPR) extends data protection compliance duties to data processors, so AI software creators should be cognisant of any requirements. One of the most important requirements is ensuring that data is kept secure; so it is essential to understand the measures which should be taken to meet any expected cybersecurity standards. The reliability of AI to provide accurate and meaningful results – particularly in cases where it is relied upon for legal outcomes – is imperative. But, as it is a developing technology, margins of error should be assumed and calculated, and manual monitoring of automated results should still take place. Once again, protection needs to be put in place against any malicious cyberattacks which could manipulate the information or reduce accuracy. As to ethics and AI, this is still a very nascent area. If an algorithm is programmed to make crucial decisions, any ethical ramifications should be assessed – for example, the introduction of discrimination by the programmers or trainers of AI. speech recognition – transcribing audible speech for purposes of written communication or in combination with NLP (used in digital dictation). 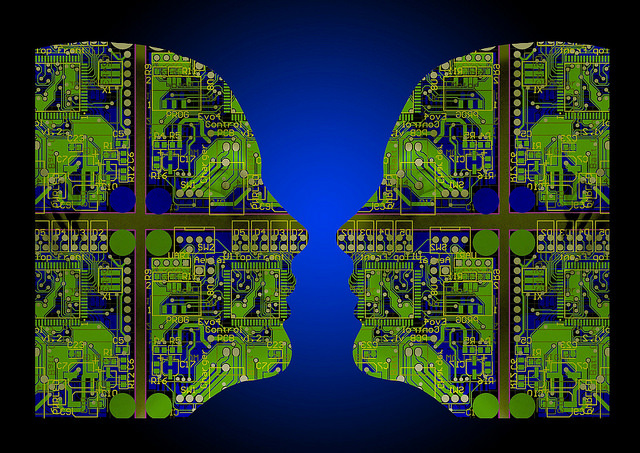 Below we look at some of the applications of these AI technologies in the legal sphere. Document assembly software can prevent much of the repetitive work involved with generating contracts, streamlining the process and allowing lawyers to focus on specific customisation and tweaking. Similarly, legal document checking tools can automatically identify and correct sections or clauses which need to be updated to comply with new legislation. Instead of spending time on routine tasks, lawyers can focus on legal analysis, negotiation and strategy. Intelligent time recording tools which interface with practice management and billing systems can help to streamline law firm administration, reducing time spent at the end of each month calculating billable hours, and allowing lawyers to maximise time spent on dealing with client matters. Meanwhile, sophisticated digital dictation software goes beyond merely generating client letters; it can also be integrated with the practice management suite, pulling in relevant information from the CRM database (eg address fields). Furthermore, big data analytics techniques can be used to link multiple databases, correlating legislative changes which may impact specific clients, thereby automatically identifying potential “upselling” opportunities and alerting the most relevant team. AI can also be helpful for marketing purposes. Analytics tools which make sense of web traffic can offer valuable insights into trends, helping law firm management teams to make decisions about where to focus their marketing efforts in order to attract new potential clients. When new clients arrive on the website, chatbots can be used as virtual agents to invite a user to submit their legal query and put them in touch with the most relevant lawyer. When thousands of documents need to be sifted through for purposes of electronic disclosure (e-disclosure), technology assisted review (TAR) software can be used to largely automate and significantly speed up this process. This technique, known as “predictive coding”, is taught by a lawyer, in a series of iterations, to perform the task of assessing the relevance of any particular document. Once fully trained, it can then automatically trawl through large volumes of electronic files, marking each one with its particular degree of relevance, in a fraction of the time (and cost) it would take a team of paralegals to carry out the same task. Any documents which are identified to have a certain level of relevance can then be manually reviewed. Hard copy files which need to be added to the pool of documents can be digitised using image recognition tools. Not to be confused with predictive coding (used in e-disclosure), certain types of expert systems can actually help to predict the outcome of certain types of legal cases. One of the first attempts to achieve this was a Supreme Court forecasting project which processed data from previous court judgments (by the US Supreme Court) to successfully predict three quarters of the outcomes of other cases. A modern version of this type of case prediction tool which aims to help lawyers improve their strategies is Lex Machina; this legal analytics product mines litigation data and uses natural language processing and machine learning to predict the outcomes of cases. According to the National Archives, there “are an estimated 50 million words in the statute book, with 100,000 words added or changed every month.” Lawyers preparing for a case need tools which can extrapolate the most significant legislation from this mass of data, as well as analyse the troves of case law. The Big Data for Law project explored big data techniques with several legal publishers, including LexisNexis, Thomson Reuters and the Incorporated Council of Law Reporting, to discover links between statute and case law, and to explore new tools which could be used for legal research by both academics and lawyers. Many firms now regularly use analytics software which can handle this type of big data to help their lawyers with research. Various tools have been developed by firms and “digital disruptors” which incorporate an element of AI to help individuals or businesses check that they are compliant with various regulations and are following best practice. This type of software, sometimes referred to as “self-service compliance”, can both help the user to prevent potential legal issues and put them in touch with a relevant lawyer to provide bespoke advice. ACE. The Applied Cognitive Engine was created by RAVN Systems to search, read, interpret and summarise huge amounts of unstructured data. It is being used by Berwin Leighton Paisner to search through HM Land Registry documents, finding relevant company names and charges on titles, with a view to issuing light obstruction notices. ACE has also been employed by Dentons to create an application that reviews large volumes of contract documentation of clients to identify potential impacts of Brexit. Kim. Riverview Law unveiled virtual assistant Kim (Knowledge, Intelligence, Meaning) in 2015, in order to “help legal teams make quicker and better decisions”. Kim is both used by Riverview lawyers and can be licensed to other firms and even other industries. ROSS. This legal advisor app, powered by natural natural language processing computer IBM Watson, has been partially funded by Dentons’ NextLaw Labs. It allows lawyers doing research to ask a question in natural language, then analyses the law and aims to return the most relevant answer. Image: Public Domain via Alan Simpson on Flickr.